Monfort Bat Cave, Davao City | To Be, To Be. Tutubi. On our second day in Davao, we went to Samal Island. Our van picked us up from the hotel at 8am and we went on our way. 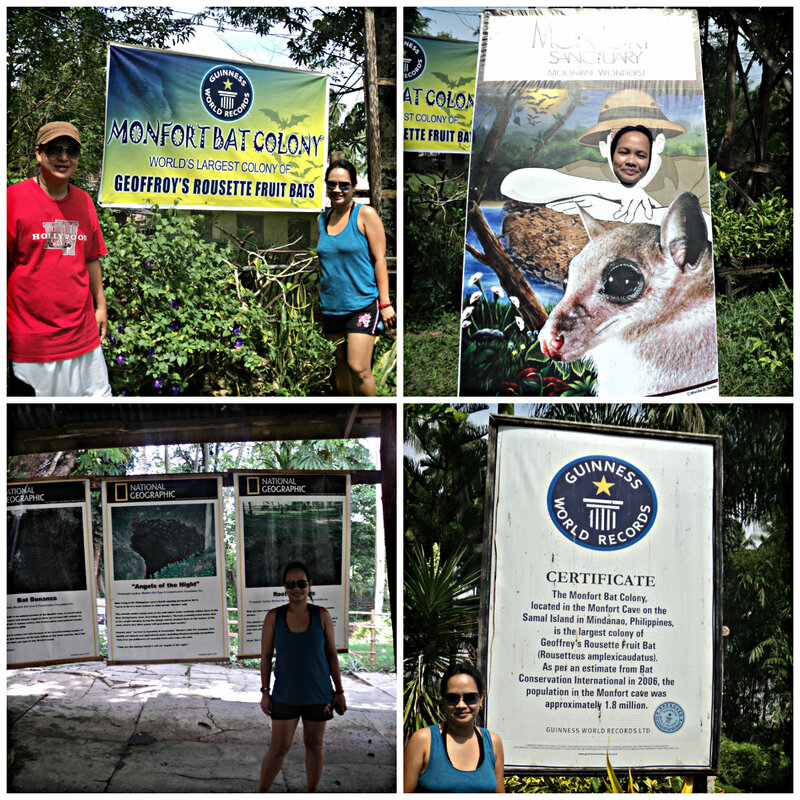 First stop was the Monfort Bat Cave (P100 entrance fee), a Guinness World Record holder for having the most numbers of Rousette Fruit Bats in the world. Oh, you have got to see it with your own eyes! Unbelievable! We were having goosebumps just by looking at millions of bats. It was really a sight to behold! 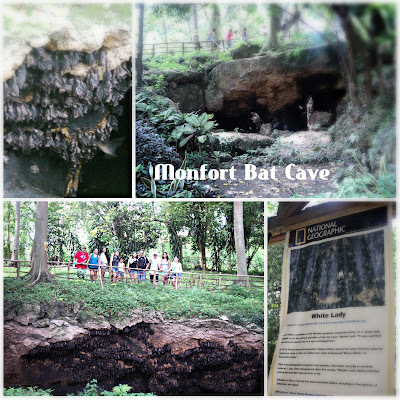 There were several openings where you can take a look at the walls of the cave where millions of bats are hanging upside down, with some flying around to look for better spot to hang. Yep, those black things on the walls are all bats! There really can be millions of them as almost all the walls were covered. We had a tour guide who gave us information on the conservation efforts of the foundation. He said the that best time to visit the cave was really at around 6pm (entrance fee at night is P200) because you will be able to see millions of bats as they fly! 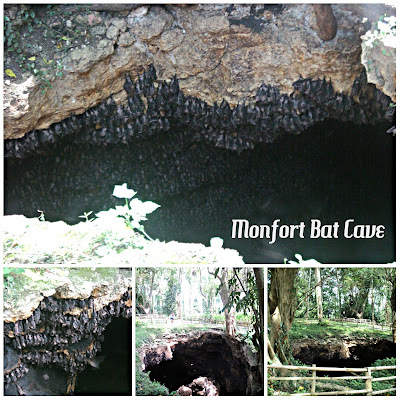 Oh, and if you can't believe the sight of millions of bats, then you also can't imagine the smell! Hahaha, but this is one place you have got to see with your own eyes! Don't miss it when you visit Davao!